"In appraising the future of a farm, fences were reckoned a prime necessity. Almanac after almanac starts the month of March with, 'Look to your fences.'" Even if one doesn't follow the agrarian calendar, this time of year seems a natural fit for projects such as looking to one's fences. The planting and harvest seasons are just too busy! Early spring is a good time, because the weather is starting to get mild and it's a joy to be outdoors again after a long, cold winter. If you've read my blog over the years, then you know we've had a terrible problem with old pine trees taking out our fences. This is all in our woods, and we've patched the damage as best we could. There are enough of those trees still standing to make us wonder when it will be safe to replace the damaged fencing. Probably not this year, so this year we turned our attention to fencing repairs closer to the house. The first project was the hedgerow we created four years ago in our front pasture (see "Forest Garden Hedgerow: Fenced, Gated, & Planting Begun"). Planting it was one of those one-step-forward-two-steps-back projects, because most of what I planted didn't survive. I chose drought resistant and heat tolerant species and did not pamper them but they struggled. I replanted pears, mulberries, chestnuts, and aronia several times. None of the flowers and herbs I planted made it. The survival rate was less than 50%, which isn't very encouraging, is it? We definitely don't want to give up, but this year we decided to narrow it. It was so overgrown that Dan decided to remove the bottom fence to let the bucks graze it down first. It became their favorite girl watching position. It's apparently the best place to try and catch a glimpse of the does on the other side of the homestead. They both ate it down and wore it down. Then we got to work. Dan pulled out the bottom t-posts. the tractor's drawbar make pulling them out a snap. Then he reset them a little closer to the top fence. I planted the bare area with chicory, clover, and coneflower, and covered the seed with composted woodchips. help reduce erosion until plant roots are established. Now we wait and see! Eventually we may move the top fence in some too, but that's for another day. The other end of the hedgerow was it's own kind of disaster. Dan backed into the cattle panel with the tractor awhile back and pretty much trashed it. We had to think about what to do with this one. Originally I fenced in a wild rose bush here, but that old bush has pretty much quit producing. So we removed the bent panel and rerouted the existing panels. The fence now goes behind the bush. After the boys clear it out I'll removed all the dead wood. Colby on brush trimming duty. The next bit of fencework in this pasture is the front corner. There used to be a tree and hedge of shrubs there, but these have been removed by the power company and our next door neighbors. This really shouldn't be a problem, but people walking up and down the road have taken to throwing things at our goats. I like for people to enjoy watching them, but I don't get why they want to throw golf balls, beer bottles, and soda cans at them. What's the matter with people? We've talked about putting up a privacy fence on that side of the property for several years, and in fact bought a number of fence panels for that purpose. We have good neighbors now so there isn't the same sense of motivation to do this, but we would like that corner to not be exposed. That will be the next project of the tending fences list. It is media misinformation at its best No goats don’t eat any and all. I explained it this way “ goats are like a toddler. They are very tactical. Since they don’t have opposing thumbs everything goes into the mouth to be determined is it edible?” Sometimes during this time of exploration the object slips through the lips over the gums look out stomach here it comes. Which is how goats get the reputation for “eating” every and anything. The reality is , for the most part inaccurate. I had a Nubian doe who would pick out each kernel of corn in her grain ration while leaving the rest. Back to the folks who toss everything and anything. They are either under the impression they are providing treats. Or they are fools. One can educate the former. Unfortunately the later is pretty much a lost cause. Our 7' high deer fencing around our gardens is badly in need of being replaced. It's on The List, but I fear it won't get done this year. It's holding together and doing what it's supposed to do but is looking pretty bad. Fencing is always a hassle, especially when you have trees that seem intent on falling right on it. As for those "grown" men talking about tackling one of your bucks, I really would have liked to have seen your buck plow into him, knock him flat, then stand on his chest and pee on him. Sorry, but the stupidity of people (throwing things at your goats!) really ticks me off. In these instances I always recall a line from a movie I saw long ago. In a scene there was a couple and the guy was contemplating doing something really, really dumb. His girlfriend chastised him for it. He was then upset with her reprimand and said, "Well, how stupid do you think I am?" She deadpanned back, "How stupid is there?" Very applicable to people who throw things at your goats. It seems as if I spent years of my youth building, repairing and climbing over fences. There were around every field. Now, I can walk across those fields with nary a fence to worry about other than an occasional stretched wire left lingering around shin level. When all the livestock disappeared or was confined, the fences were no longer needed. Since "good fences make good neighbors" maybe that explains why all the neighbors have disappeared as well. I have had trouble planting native trees and plants in recent years and I've been blaming global warming. Since we lived here, we had three extremely dry years followed by an excessively wet year, then a fairly normal year followed by another dry year and now an extremely brutal winter. There are so few average years anymore in which those sorts of things can put down roots. Mama Pea, that's the way it is with fences! As far as people being stupid, Dan says just watch YouTube. The "fail" videos especially. Personally, I don't get it. Ed, nice to not have fences to tend! Unpredictable weather is a real problem for growing things. For us, I can also pinpoint poor soil and chickens! 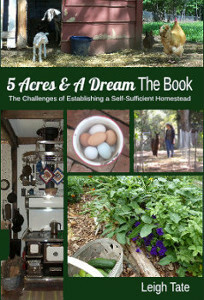 When we free ranged our chickens they loved digging away the mulch I put around the hedgerow trees and shrubs. They exposed the roots and killed a number of young trees from their scratching and digging. That's one of the reasons our chickens no longer free range! That is horrible people are throwing things at the goats. Such disrespect. The lane clean up looks great! The long panels you have , how did you guys haul them? Probably a trailer... but always interested to see what people came up with. Looking to get some of those on our place and thought I would ask. All you have to do is look at all of the people who climb over the barriers at zoos to see the apparent level of ignorance. My guess is most people are so removed from animals these days that they have never been taught how to behave around them. When I had my horses at home (in a very rural area I might add), people would stop all of the time and try to feed them or pet them and stand on my fences. Despite the signs posted, that our state requires, warning them of the dangers of equines, and my polite warnings when I witnessed the activities, it persisted. I was worried both for their safety as well as my boys. I had to change my rotation so they were only in that field when I was working outside. How could anyone ever be so mean as to throw things at the goats??????? That's so awful, I'm sorry Leigh! There's never any shortage of things to be done around a house and land, isn't that true! Leigh, that's why we want to be away from roads and other properties...we just want our privacy and we don't want to deal with idiots throwing things on our property or at our pets! Even if we have to be near a road (you know, the bank criteria stuff)...we plan on making sure the place is zoned where we can box ourselves in and create a private sanctuary. We're finding it tough. How long did it take you and Dan to find your place? One of my favorite stories is of a young man who was standing by a ram's pen with his girlfriend, patting the ram on the head (a big no-no). I was keeping an eye on him. He wasn't hurting the ram, but I could tell the ram was getting irritated. When the young man stopped and stood there with both his hands over the panel in the pen, I saw the ram take a step back and lower his head, and I quickly moved over and told the young man he might want to move his hands. Why? Because you've been picking on that ram, and he's about to break both your hands. I then explained that patting them on the head mimics the head butting they do to establish dominance and isn't a good for most animals (including dogs). "Really?" So I reached up and patted him on the head, and he pulled back. "Pretty aggressive when it happens to you, isn't it?" He had the good sense to agree. Lots of people are just ignorant, and can be educated. 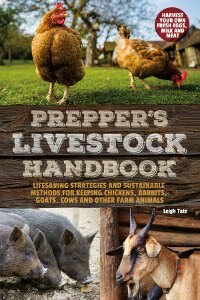 Greenjournalhomestead, do you mean the cattle (stock) panels we're using as fence? Dan hauled them in the back of his pick-up, but they bent them in a u-shape to fit them in. Then he tied them down. They had a slight bend in them when we got them out, but they weren't too bad to straighten. I once saw someone in a trail blazer fasten one end to his front bumper and the other to the back bumper. The panels made a huge arch over his vehicle! It seemed to work! Kay, I agree. Most people are so removed from nature that they really don't understand. Farm animals are more like giant living cartoons than real creatures. When we first got our goats one of our librarians told us that she used to have them too, but some neighborhood teens would drive by and shoot them. She couldn't get the sheriff's office to do anything about it so she eventually got rid of her goats. Rain, that's the one thing I regret, that we're so close to the road. There's only local traffic, but even that is too much. It took several years to find this place. If we found it in the beginning I'd have dismissed it as being too close to town and other homes, but eventually we found ourselves just happy to find a place that had so many good qualities. It wasn't as reasonable as the places you're looking at though. Margy, oh gosh, I never thought about that, since you have floating gardens! It works both ways, doesn't it? Some things are safer in, some things are safer out! Susan, good for you for taking hold of the opportunity to educate someone! When I used to do spinning demos, one of the problems was people who became hostile because they thought sheep had to be killed to harvest the fleece. The first time I heard that I was flabbergasted. I mean, didn't we all learn that stuff in kindergarten? The wind blows almost constantly here & we loose a lot of big trees. It is customary here to cut a lane about 15 feet on either side of fences to help prevent the loss & to create easy passage for the tractor or pickup. I do realize though that, on a quarter section, we can afford to have those land breaks, whereas it would sacrifice too much on a small holding. I'm sure that, when they do come down, those big trees make great fodder for Dan's sawmill. Your place shows the work you are putting into it. Also as to planting trees/shrubs. My father always set a 5-gallon bucket with a small nail hole pierced through the bottom at the base of trees he planted and would dump of 'bucket' of water in each, each day. He got all kinds of things (usually 'free' dug from some where else) to grow that way. It's a bit to haul that much water, but with drought at least you know the water is slowly soaking into the spot/plant you want. You may have to long a stretch to do that way. It seems like a lot of fencing...hope you can get it all fixed to your liking. As for throwing stuff at your goats...I so wonder what is wrong with people. Just exactly what do they get out of that. I could go on a rant here on things people do that get my dander up but you probably would not like me at all if I did. (as in setting fire to public bathrooms at parks, and there is one that I don't even have the words to tell.) they just all make me wonder if some people have lost their mind. The majority of people are nice...I find them time after time. but the other ones seem to stand out. Mrs. Shoes, I'm sorry to hear you have the same problem with trees, but also it makes me feel like we're not alone. Those trees were the main motivator for getting the sawmill! Pine isn't good as firewood and it seemed such a waste to let them rot where they were. Helen, our place is and always will be a work in progress! What a great story about the rater and the goat. That's just like a goat! And that's a great idea for watering trees and shrubs! You're right though that hauling the water would be a big chore. Still, I like the idea, especially for things newly planted. They need it more in their first year. Rose, the trouble with fencing is that it always needs maintenance! I have one tiny "pocket paddock" next to the road, and even though there is a dense swath of brambles between the paddock and the actual road, I never put goats in there except for a few daytime hours of browsing, as I've always worried that people who travel my road regularly would realize they are there and would start throwing things. And I never put goats in there until after the school bus has already made it's morning trips - the kids gather right at the end of my driveway. I don't know what is wrong with people, but when it comes to the animals, I'd rather prevent than treat the problem. Our ridge property had been let go, with no one living here for four years, and combine that with years of neglect. Our fence lines are in horrible condition. We have been working on them for a couple of weeks now, because the vegetation is finally dead enough that we can get to most areas now. It is work, but necessary none the less. We have a lot of cedar trees that have encroached on our fences, which are too big to pull out, so just trimming and reattaching the fence. We do have an area where we don't have fence, but want to make it private. Considering Italian Cypress, but still discussing. I feel really sorry for stupid people, because Karma does happen, and it ain't good! Years ago we had a German Sheppard, who would go over to the neighbor (bachelor) next door, and bite him on the ankle. One day we were over in the yard, and heard the neighbor call our dog over to his porch, and then turn on the hose full blast and sprayed the heck out of him, then heard a couple of guys laughing hysterically. We never scolded our dog for biting him again. Karma! Quinn, I agree, so maybe the brambles make a nice security fence to deter folks from trying to get too nosy about your goats. Wyomingheart, neglected fences take a lot of work! So funny about your dog. Did he learn his lesson? How mean that is to throw things at the goats! I don't understand that type of behavior either. I'm beginning to think that people nowadays do not have enough to do. Back in the day most people worked too hard to survive to have time to get into mischief. I remember fencing being a big thing on my little farm and quite a learning curve. On top of that there were rules about neighbors adjoining fences and who was responsible for what but some neighbors didn't mind letting their side run down so their cattle could graze freely on my land....and ruin my garden! It's a lot of work but glad you have your goats to help out! He moved, Leigh, and we were very thankful for that! I just think that folks who create meanness are just thick brained, and they will always be mean! … Thanks goodness most of us aren't prone to that attitude... lol! "Stupid is what stupid does." You ever marvel at all the sayings about stupid people there are? There has to be 30 of them I can think of without breaking a sweat. Sam, I never did understand people with a mean streak and agree, people don't have enough to do nowadays. At least not meaningful things. Fences were a learning curve for us too. One thing people don't understand is that there is such a thing as a "legal fence." Each state has it's own definition, but it's important for putting up boundary fences. Helps resolve problems like your neighbor's cows eating your garden! Wyomingheart, maybe your dog knew something! It's lucky the guy didn't make trouble for you about your dog. A lot have things have been lost with the loss of good fences and the monopoly of monoculture farming and feedlot cattle. We were just talking about how neighboring isnt like it used to be. Your fence looks great...hope, everything goes well in next coming years.